Actually i was intending to take admission only in the year 2017, although I would have started preparation for my application early on. By that time I do expect that I would have at least 2 years of experience at Morgan and Stanley. The response from LSE took me by surprise in fact did confuse me, nevertheless I am always more inclined in doing an MS in Finance course in lieu to an MFE as a business side of finance would be more beneficial.Also about the firm that I intended to co found, actually the firm has already been established by my friend a couple of months back.He is currently running it solo and asked for my help in developing it.He himself was a prominent banker in Dubai working in the likes of Zurich bank. 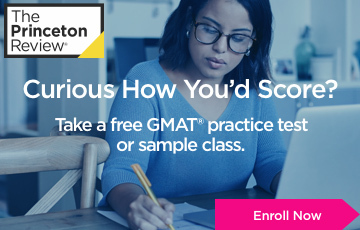 I am planning to retake my GMAT though not sure what would be the score next time. Let us take the case that I were to get a 730 & I were to submit my applications in mid 2017, Could please tell me a list of probable schools that I should be looking into for MS in finance in UK (preferably), US,Canada? Ok, you have an year more to go before you apply then. The 2 years of Morgan Stanley experience will definitely help you. The LSE response is more of a standard response they sent, and there's nothing to be confused about. As we said earlier, they are only saying that they would like you to apply and they can only take a decision on your candidature then. On your firm, make sure you have an active role in the firm, else this will be seen more as a sub-contribution. In any case, MFin programs look more for your technical capabilities in finance, so make sure you make the most of taking up challenging projects and widening your exposure over the next two years. 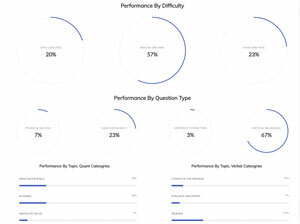 If your question is really around whether you are ineligible for some schools, we would say that you might have a weaker plank among the top ones (Berkeley, Princeton, Carnegie Mellon, LSE, Oxford) owing to your low GPA (as MFin programs are quite particular about it, as we noted earlier). The others are open. Try and aim for as high as possible. All the best! Represented school/college in Table Tennis, Quiz etc. Editor of College Magazine. Key member in organization of college events & festivals. 4.5 Years (Current Job) - As a Senior Engineer (1 Promotion in 2012, Will be promoted to Deputy Manager in October 2015) in a different Japanese Automotive Tier I supplier. I have been managing a team of 10 engineers; actually, I selected and built this team over the course of the last 1.5 years. The promotion and new role of "Deputy Manager" will be my formal introduction as the manager of this team. I work in a very international environment. I am an Indian national, working for a Japanese Company from their German Office. I am currently multiple handling projects for Swedish and Dutch Customers. My job also includes co-ordination of a team of 10 Designers and Analysts in Germany, Design team in Japan,Plants in France, Poland and Asia and suppliers across Europe and Asia. I am the Engineering Contact to Customers and am responsible for the complete product life cycle from conceptual phase to series production phase. Achievements in current job - I was the first employee in a new group focused on diversifying into a new product development for European Automotive & Truck OEMs. I was a key member of a small team which won a major business worth Euro 70 million/7 years. I am the youngest recipient (@ 28 Years) of a Challenge Award, which is awarded for extraordinary contribution to company growth. I am currently very busy at work and a typical week at work includes 60-70 hours at work during the weekdays and at least 5-6 during the weekend. I play table tennis in the local town club and have represented them in the regional league competitions. Apart from this, my hobbies include photography, biking and I am a voracious reader. Please shed some light on the means to highlight these activities to make a compelling application to Top Business Schools. 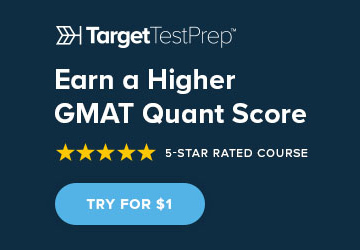 I have currently started preparing for GMAT. I scored 720 in my first mock test. 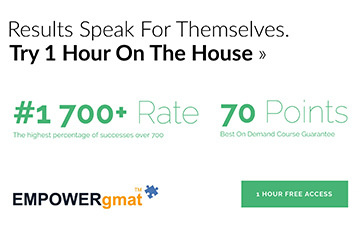 I know the mock test scores don’t show anything, but my target GMAT score is 720-750. I am looking for an MBA program to leverage my technical know-how, hone my skills and acquire new skills and network to be a successful global manager in the automotive industry (Short Term Goal). Long term goal is to get myself into technology consulting and may be start a company focusing on using modern technology to increase the efficiency and output of small industries back home in India which can lead to generation of employment opportunities in the rural parts of the country and bring social and economic prosperity. With 10 years of work experience and at an age of 32 years, I think I am exactly in the zone where both the Full Time MBA and the Executive MBA are real options. Please suggest a few MBA programs (Full Time MBA & Exec. MBA) which would help me in acquiring new skills and getting closer to my goals. guide me which US B Schools do I have a realistic shot at to enable selection of the right school to apply. You have a lot going for you in your profile, and overall you have a pretty strong profile. In terms of experience, 10 years does put you into the bracket of older applicants, but it should still hold you in good stead for some top MBA programs in Europe. Education and experience seem solid. Your international experience counts for a lot, and you clearly have a pretty global profile. Experience in the European Union is a further plus for European schools. Your test score seems to be on track. Anything 720 or more should make you quite competitive at these schools. You seem to have a very good mix of team leadership and client management experience. You also seem to have some pretty good recognitions at work. All good here. In terms of areas that you will need to focus on with care are the work you have done and your goals. Your experience is not a negative factor for you per se (many older applicants to top schools do very well in the admissions process with 10+ years of experience and applying post 30), but many usually move on to business management roles in this period. Your engineering experience will be a plus for you when applying to automotive firms later, but B-schools will also look for business experience and leadership experience at your experience level. Overall, you need to come across as more than just a great engineering manager. With the extensive coordination you have done with teams across countries, you should be able to do that, but it is an area you need to focus on. In terms of goals, your short-term goal seems fine, but the long-term one seems a bit hazy at this point. Consulting, SMEs, and rural experience are all things that do not seem to be a component of what you are doing or will even do post-MBA, so this long-term objective will need more thought and expression. Many B-school applicants seem to think that social goals for the long-term somehow increase attractiveness to B-school committees (not saying you are necessarily doing that, just putting in a caveat), but that's not necessarily the case. Schools - you are right when you say that you are at the boundary between Full-time MBA and Executive MBA programs. We won't really get too much into Executive MBA programs in this evaluation, as they depend significantly on location/ability to take out time for work, and have limited impact outside the current role. In terms of full-time MBA programs, you can apply to top schools in Europe - INSEAD, LBS, IMD. The advantage - they give you recognition and impact with any industry, including automotive. The drawback - none of them will have any courses focused on the automotive industry. If you are specifically looking only for programs that are focused on the industry, look at schools in Germany such as ESMT. Another option that might be attractive to you is to look at the Sloan Fellows Program at LBS . This is a one-year option, is meant for senior executives like you, and is a top program in every sense. Hope this helps. Feel free to come back with further questions. I have some queries for Indian and Asian schools. Apart from ISB, I want to apply for IIM's. Among IIM's I wanted IIM Ahmdabad but they need minimum age 27 which I dont have. Do you think I can apply to IIM Bangalore and Calcutta? Also which other Indian colleges will be ok for me? Please post complete details of your profile here so we can make an assessment. In terms of colleges, it is difficult to make a recommendation unless you list out a set of criteria. Please do that and we will be happy to come back on this. Work ex: 2 years (3 by next year feb) in a good international consulting firm (but in India only. No international experience). Have worked with many clients in many industries. I have worked with managers and in one case even the Director of one of my clients. Does that help? Extra curricular: Very good. Part of many college societies, part of tech fest, and also have some ngo experience after college. For selecting schools, I want that that it should be a very good school (top 10 in India at least), and it should be taking only experienced people. 100% scholarships for Indian students at Top MBA Programs!!?? For many MBA applicants, 100% scholarships are more of a myth than a reality. They have been heard of, but few people are known who have received them. Yet, 100% scholarships for Indian students are not just myth, but reality. True, getting one is not easy, and nor are such scholarships common. However, for strong students who represent potential, scholarships are certainly possibly. Not everyone may get 100% scholarship at top MBA programs, but quite a few are able to get generous financial grants by way of scholarship. This article discusses some such stories. What does it take to get a great MBA scholarship? Thanks for posting more details. In terms of other schools in India that you could apply to, there are quite a few. If you look at this link you will find that there are many possible options (and even this is not an exhaustive list). Given your profile, SP Jain PGDM and XLRI PGDM (GM) could be great options. 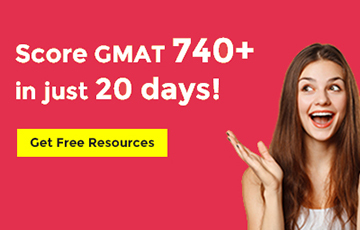 IIMB and IIMC are also possible, given the industry that you belong to, but your GMAT score is relatively weak given those. IIMA is not possible if you are not 27, as you yourself state. Will be happy to help beyond this as you state more filtering criteria. I intend on applying starting R1 this year, for a full time MBA program starting in 2016. Reasons for pursuing an MBA would be: develop my personality and skills for higher managerial roles; explore my capability on the Strategy Consulting front; equip myself with the knowledge and skill to start a business venture. -- 4yrs working in Business Analytics in the Finance domain (Financial Services). Clients/employers have been banking/financial services majors from the US and the UK. -- Multiple awards across projects. -- Instrumental in realization of a significant cost save opportunity for one of the employers. Currently working as a strategy expert for one of my current employer's clients. -- Roles have ranged from business development to business analysis, project management, operational strategy consulting, marketable intelligence creation and data modeling, stretching further into mentoring of juniors throughout the tenure post 1st year. -- Consistently rated among the top employees. Good rapport with managers. -- Been involved with workplace event organizing committees. -- Involvement in workplace cricket events. -- M.Sc. (5yr Integrated) in Mathematics and Scientific Computing from Indian Institute of Technology, Kanpur (Admitted through JEE-06). -- CGPA 7.7/10 (Translates to 3.58, as per WES). 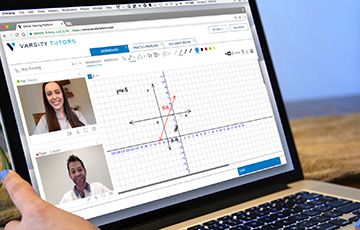 -- Course involved pure and applied Mathematics, Statistics, Data Modeling, basics of Algorithms and computer languages. -- Internships in the IT sector. Academic projects done related to finance. -- Taught underprivileged school children from a nearby village, over an year. -- Photography: Attended a certificate workshop. Maintaining a facebook page on the same. -- Online gaming, music, gadgets. -- Occasionally like to help out the less privileged through food/clothing distribution. Please comment on my profile versus the target list mentioned. Suggestions are welcome. -- M.Sc. (5yr Integrated) from Indian Institute of Technology, Kanpur (Admitted through JEE-06). Thanks for posting. You seem to have a good profile there. Analytics consulting is a hot area right now, and you will see many top MBA programs coming up with newer options in the area every year. A good choice given your background. The option to move into strategy consulting (not necessarily specializing in Analytics) also remains open for you. Lastly, you should also keep your eyes open for jobs with startups that are doing a lot in this area (e.g. visual analytics). Anyway, as of now, it is more about the MBA admissions process, so on to that. 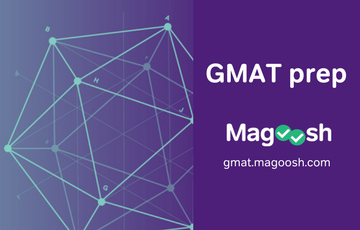 Your overall GMAT score and academics look good. Overall college experience looks decent as well. Not sure what you majored in at IIT, but in case it was related to Mathematics, that will give you a further boost. On the work front, your core work seems excellent, but be wary of defining your role too widely in terms of multiple functions. Rather, focus on multiple aspects through which you have added value in your current role. For example, analytics for banking may have given you insight into risk management in the banking domain as well, possibly for European institutions (which is an important theme in current times, given the European situation), so exploring that theme will be good for you. You can of course mention your other skills as well. Do you have some international experience as well? On the ECA front, you seem to be ok, but not too strong. Possibly, there may be more detailed themes there that you may not have mentioned in your post. In terms of schools, the Cornell one-year option is great, but also note its rather small class size. Would suggest the two-year option, in case your personal preferences allow for that. Stern and Tepper are two names that you should be looking at in addition. Not sure about INSEAD as a choice, pending more information on your international experience. The others seem fine. Overall, well set for some good programs. Also go through this article . Hope this helps. Feel free to get back with more questions as needed. Thanks for the assessment GyanOne. My College major was Mathematics and Scientific Computing (Missed out in my earlier post, edited and added now), so that should add value too. Does experience with multiple functions not add value? I would surely keep in mind your suggestion on building a theme out of the European situation. I don't have any international experience yet. On the ECA front, would things like interest in Western classical instrumental music, occasional sketching hobby and reading add some depth? I think strengths for this side of my profile would surely need a more thorough thought. In terms of schools, I am keeping Cornell one-year option as my primary target, since it suits me financially, plus the course concentrations suit my Analytics consulting/Strategy specialization targets. I do understand the class size constraint on it though, still worth a shot, given the fit and the associated brand. Stern and Tepper sound good, though for Stern, the cost may become an issue, I think. About INSEAD, this is again an option picked as more of a cost efficient path to a good course, given its 10 month length. I am assuming that your reserved comment around this deals with me having a disadvantage at INSEAD, given no international experience? The article is useful, thank you. 1. Your college major adds further consistency and depth to seeking a career in Analytics. It will help in admissions as well as in post-MBA placements. 2. Experience with multiple functions does add value. Our point was that in trying to show that you have done multiple things (project management / business development / mentoring), don't lose sight of your core competence - analytics consulting. You can mention the other things as well where they are relevant, but put more emphasis on highlighting the depth of your skills rather than their breadth. 3. The lack of international experience may not hurt you per se at each school, but it will be a significant factor at some schools like INSEAD. As you will see on this page, , INSEAD focuses a lot on international exposure. Not saying that the lack of it makes you non-competitive there, but you should be looking to make up by highlighting your international exposure (i.e. working in global teams / with global clients) to make up. 4. On the ECA front, multiple talents help, but hobbies will only take you so far. Just interest in something is not enough to really differentiate you on this front. This is admittedly not the strongest part of your profile (judging based on only the information you have provided so far). Feel free to come back with questions/clarifications now or later. Ready to finally take the plunge and apply to B school? Deciding that you would like to seek business education at the master’s level is a key step in determining firmly the direction of your future career. 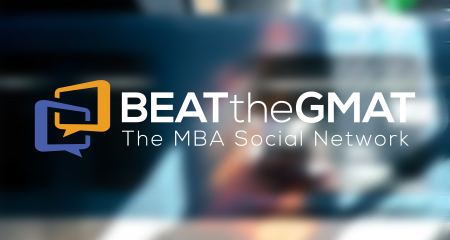 At GyanOne, we believe that the next most critical step is determining the right B-school(s) to apply to. Decide what is best for you: Unfortunately, a lot of people still pick schools as if they were dishes in a restaurant (“I’ll have what everyone’s having”). It is important to realize that B school selection does not subscribe to a ‘one size fits all’ formula. What is appropriate for your friend from college may not be appropriate for you. 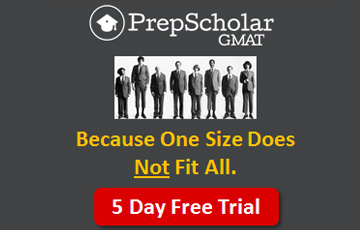 The two of you may have different achievements, grades, GMAT scores, and just plain preferences. Deciding to apply to schools based on others’ opinions is criminal. The only other people who you should perhaps bank on are admissions consultants (yes, I know we say this tongue in cheek, but it is also true). This is because they are professionals, and can help you identify the right schools based on your profile and preferences. Choosing the right admissions consultant is another matter, altogether, and in our blog we have noted some strategies that you can adopt in this regard. 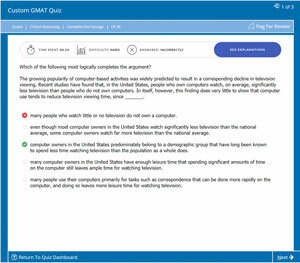 The GMAT club of 700+ scorers has a lot of accomplished individuals. 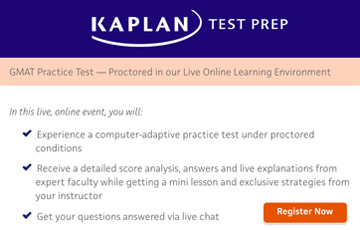 They work hard to develop their skills and understand the concepts that the GMAT tests. However, success on the GMAT depends not only on working hard, but also on working smart. 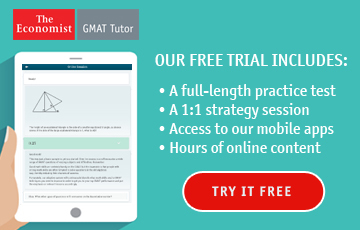 Based on our own experience of talking to various people who have taken it (and we have a substantially large database of 500+ people who we are talking about here), here is the list of the most common mistakes made by GMAT test takers. We have found that people who make these mistakes on the test do significantly below their ability, and that people who do not consistently score according to their potential and very often above it. 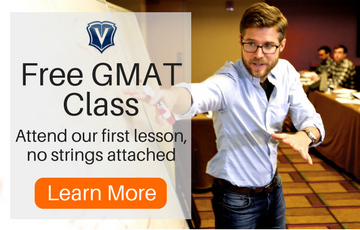 Getting into the 700+ GMAT club depends to a great extent on avoiding these mistakes.